Incentive travel programs always need to stay fresh. The number-one rule is don’t be afraid to push the envelope, and the number-two rule; never ever automatically assume that someone won’t enjoy doing something. You may be surprised. “One sure way to build employee loyalty is to expose your team to a place they might not consider touring on their own,” says Michael D. Gehrisch, president and chief executive officer, Destination Marketing Association International (DMAI). Despite the current media frenzy, there has been heightened interest in exotic locations among companies looking to offer their employees unique, trendsetting experiences. 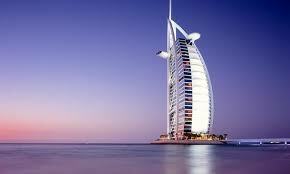 And a great example is Dubai, with its towering skyscrapers and sweeping sand dunes. Once a small fishing village, Dubai has emerged as a truly cosmopolitan city. It boasts the world’s largest shopping malls, indoor slopes for skiing, the world’s tallest tower, breathtaking beaches, and is one of the few major cities where you can ride camels across towering sand dunes. An exotic destination with a cosmopolitan lifestyle, Dubai is drawing business and leisure travellers from around the globe. Dubai is welcoming international visitors with sights and experiences found nowhere else in the world. Dubai offers travel organizers a safe and secure destination that is new and different with the surrounding desert offering tranquillity away from the city. If any of your sales force are foodies, Dubai offers food ranging from Arabic to Asian, French to Mexican, and everything in between. And navigating the city should bring peace of mind as both Interpol and Trip Advisor have ranked Dubai as one of the safest cities in the world. Incentive travel is only part of the allure. Dubai has also set itself up as a prime destination for corporate meetings. Dubai is a convenient meeting point, with direct flights from most European capitals and other major cities including New York, Houston, Atlanta and Toronto. The airport is served by 125 airlines that connect to over 260 destinations across the globe. Dubai International Convention and Exhibition Centre (DICEC) has nearly 100,000-squarefeet of exhibition and meeting space and is only a 10-minute drive or a Metro Red line ride from the airport. In addition, there are currently more than 625 hotels offering over 100,000 hotel rooms. - Business meetings often begin with leisurely chit-chat. Emiratis tend to be proud of their country’s fast development, as well as mindful of its impact on local culture. A question about Dubai’s latest projects is a good way to break the ice. It’s good to remember that moving a large group of employees in and out of a foreign county can be a somewhat Herculean endeavor, what with travel tickets, hotel reservations, passports, even something as simple as planning dinner and employee events. So it’s best to enlist the services of a reputable Travel Management Company (TMC) to assure not only the comfort, but the safety of your employees. As an example of the logistics involved, Telkom, the South African telecommunications giant, recently set up an incentive trip for 212 employees to visit Dubai. Visas were confirmed and the groups traveled to Dubai over two weeks and stayed in the luxurious 5-star Atlantis Palm Hotel. Various trips were planned throughout Dubai that included a full day shopping at the Burj Khalifa, half day cultural city orientation tour and the Abu Dhabi City Tour including Ferrari World. Optional activities included Ski Dubai, indoor skydiving and Arabian cooking classes. The trip concluded with a farewell dinner amidst desert dunes of Bab Al Shams Desert Resort & Spa. This included falconry display, camel caravan, horse show, Arabian singers and Tanoura dancers. Bottom-line: Without a qualified TMC to organize everything, the potential for something going wrong is always prevalent. This makes it imperative that you make the necessary plans to ensure your incentive trip and/ or business meeting goes off without a hitch.